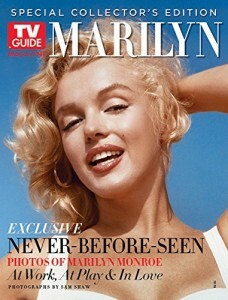 The promise of ‘never-before-seen photos’ of Marilyn is, perhaps predictably, not really true. However, Shaw’s photos are some of the loveliest ever taken, and with so many full-page reproductions it’s hard to complain. The text is composed of small captions, and while definitely secondary to the visuals, includes many snippets of little-known information, including people Marilyn knew during her New York years, and her favourite hangouts in the city. 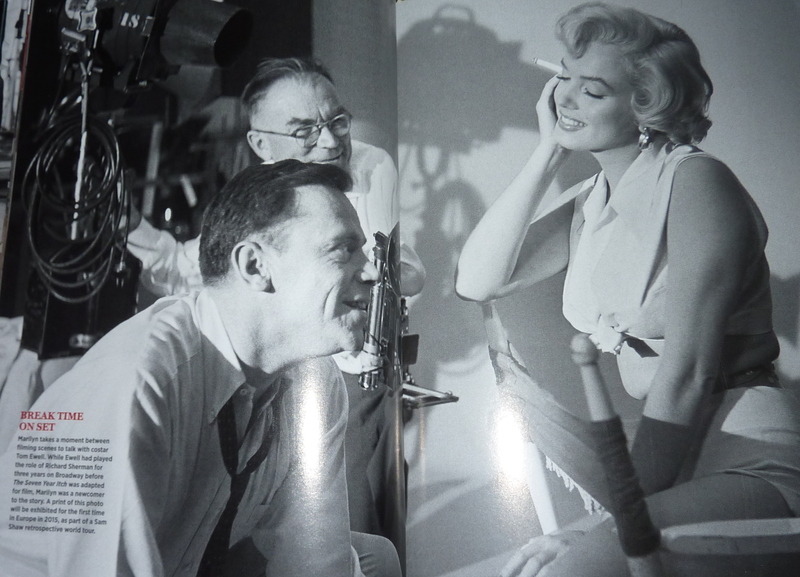 There are two previously unpublished pictures, both taken around the time of The Seven Year Itch. A caption reveals that the latter will feature in a Sam Shaw retrospective, touring Europe next year. 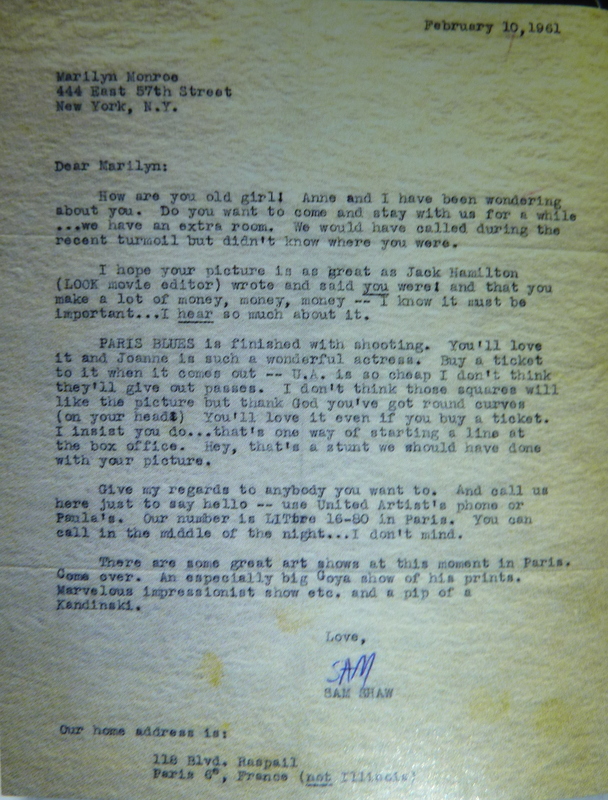 Shaw’s granddaughter, Melissa Stevens, talks about the archive’s ongoing work, while his daughters Edie and Meta both remember Marilyn fondly. 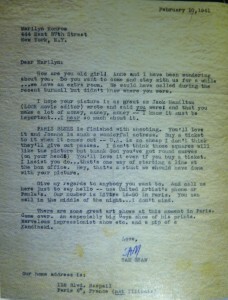 What sets this apart from other magazine tributes is the warmth of Marilyn’s friendship with Shaw, evident in a letter he sent her from France in 1961. No other photographer captured her in such a happy, relaxed mood. Secondly, the magazine focuses on the positive and does not indulge in idle gossip. The Shaw archive is now on Facebook. Hopefully this will be the first of many exciting projects, so get it while you can. 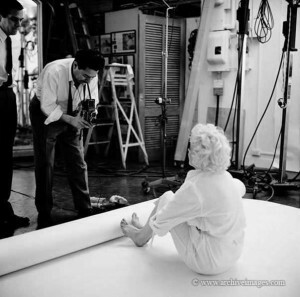 UPDATE: The Milton H. Greene Archive has confirmed that this photo shows not Sam Shaw behind the camera, but Marty Bauman.